Heeft u een vraag voor LIA! BEIJING HOTEL? 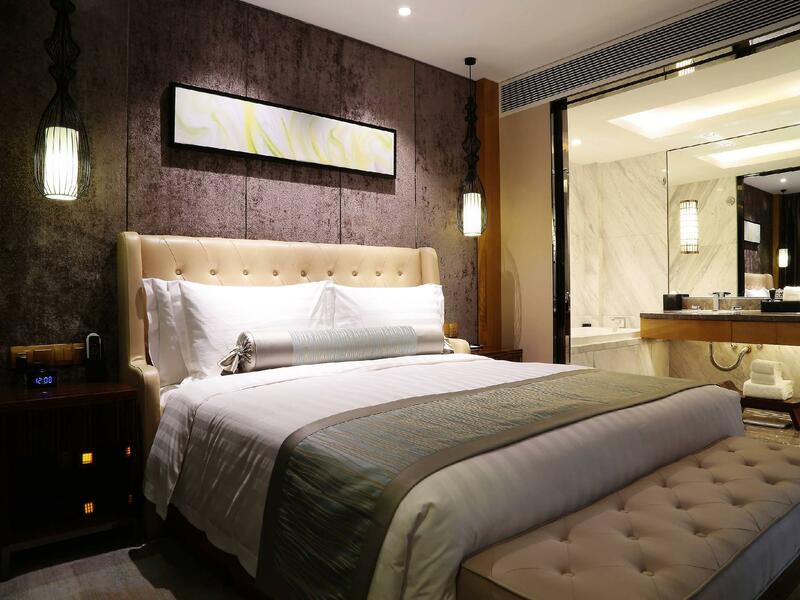 Als u zoekt naar een gunstig gelegen accommodatie in Beijing, zoek dan niet verder, Minyoun Central Beijing Hotel is wat u zoekt. Het stadscentrum is slechts 1 km verwijderd en het vliegveld kan binnen 45 minuten worden bereikt. Niet minder uitzonderlijk is het feit dat veel attracties en monumenten in de buurt liggen, zoals Hongzhang Li's Ancestral House, Beijing Yu Qian Temple, Chang’an Groot Theater. 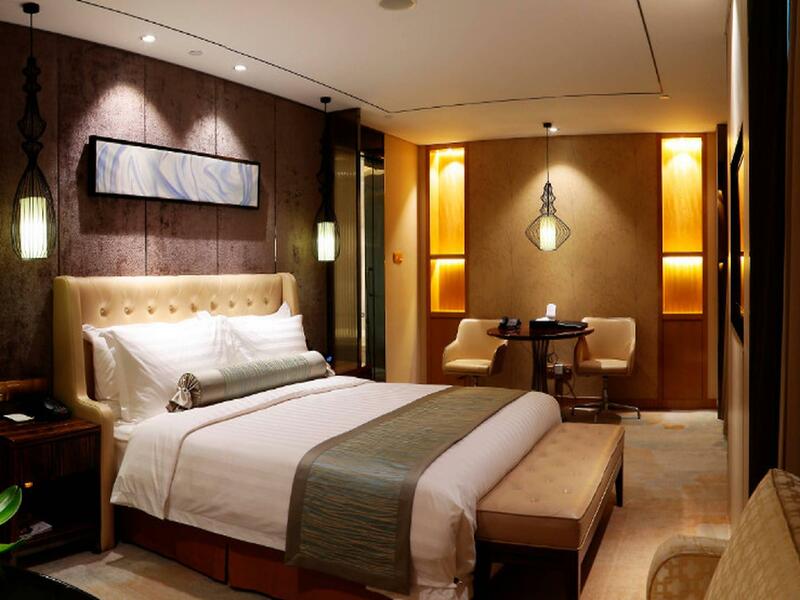 Minyoun Central Beijing Hotel biedt een onberispelijke service en alle essentiële voorzieningen om vermoeide reizigers een verkwikkend verblijf te bieden. Terwijl u in deze geweldige accommodatie verblijft, kunt u genieten van faciliteiten voor mindervaliden, wi-fi in openbare ruimtes, parkeerplaats, roomservice, vervoer van/naar luchthaven. Gasten kunnen kiezen uit 129 kamers, welke stuk voor stuk plezierig en comfortabel zijn ingericht. De accommodatie biedt talrijke recreatieve mogelijkheden, zodat u voldoende te doen heeft tijdens uw verblijf . Minyoun Central Beijing Hotel is een slimme keuze voor mensen die naar Beijing reizen, een ontspannen verblijf is gegarandeerd. hotel is catered more to business travellers, which we liked coz family crowds can get really noisy. check in was a breeze and hotel upgraded our room upon request when we returned for 2nd stay during our trip, as they were not fully booked. room size were decent and true to pic. train station was an easy walk of max 10mins to dongdan station. we walked for about 15mins to nearest mall at end of wangfujing to find food. Mall is managed by HK group, APM, with alot of international food selection. even McDonald's and paris baguette for a quick bite. 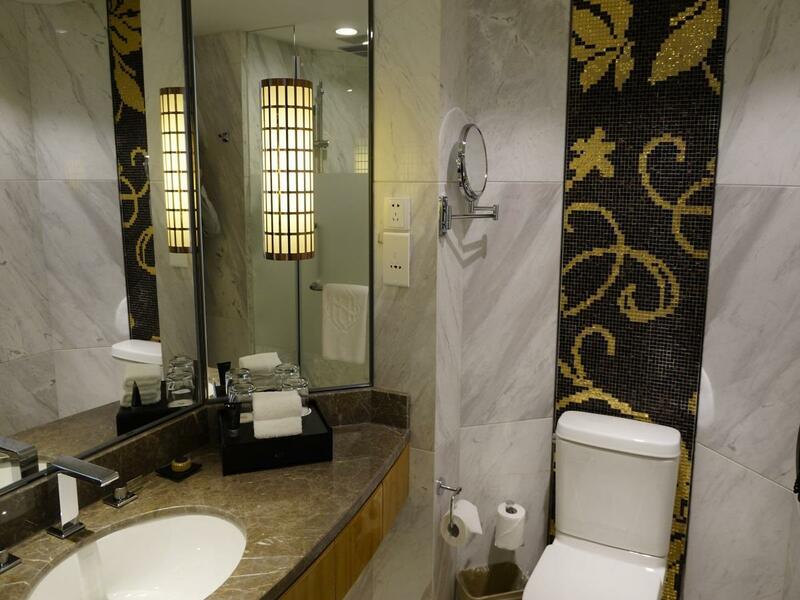 We were upgraded to a suite due to overbooking, room was really clean and comfortable with all the modern facilities. Only thing lacking is a proper gym (they had one but the size is small) and swimming pool. Breakfast is decent. Good location within walking distance to subway and restaurants. Room was spacious and clean. Breakfast was catered to local taste but decent spread. Staff were friendly though communication in English can be challenging. Overall pleasant and staff were courteous. The pic of the individual room listed on the website differs from the room i was given, seems like the hotel didn't update the room pic. The manager was nice to upgrade my room for the return leg coz we stayed for 2N, left and came back to stay for another 3N in an upgraded room. It's a very cozy hotel to stay. The Sichuan restaurant in the hotel is fantastic! The only thing is that the hotel locates in alley which is a bit hard for the taxi driver to locate and there's no convenient store nearby. 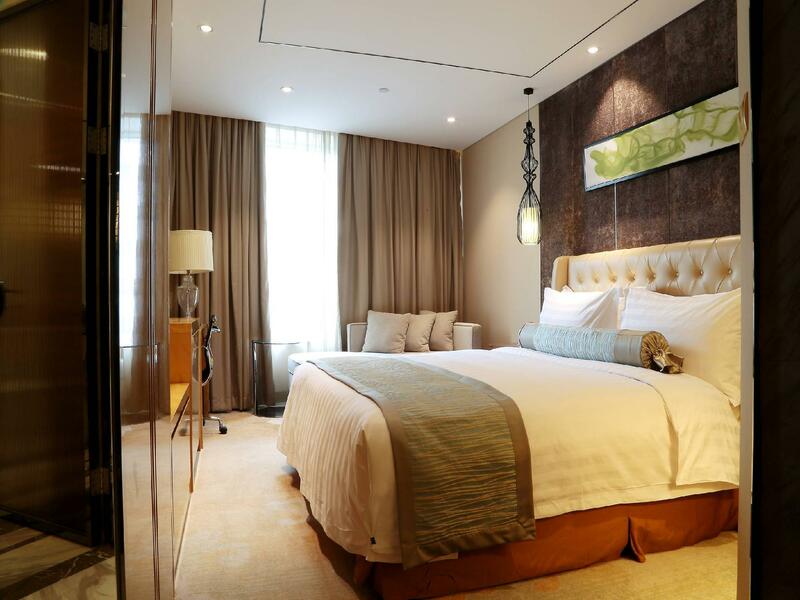 The rooms are very nice and big, with a great comfortable big bed. However we would not rate the rest of hotel as a five star hotel. The hotel has no special facilities like a gym or pool for example. The breakfast is simple and the breakfast room is a bit dirty. The reception staff is not well trained like it should be for a 5 star hotel and most do not speak English. Room was spacious, clean and comfortable. Happy with my stay there. TV channels were limited. Room was spacious, clean and comfortable. Within walking distance to many tourist attractions and restaurants. Only 3 minutes walk to the nearest subway station. everything go well. unable to make booking for my flight , the manager willing to help me on that really thank her so much. 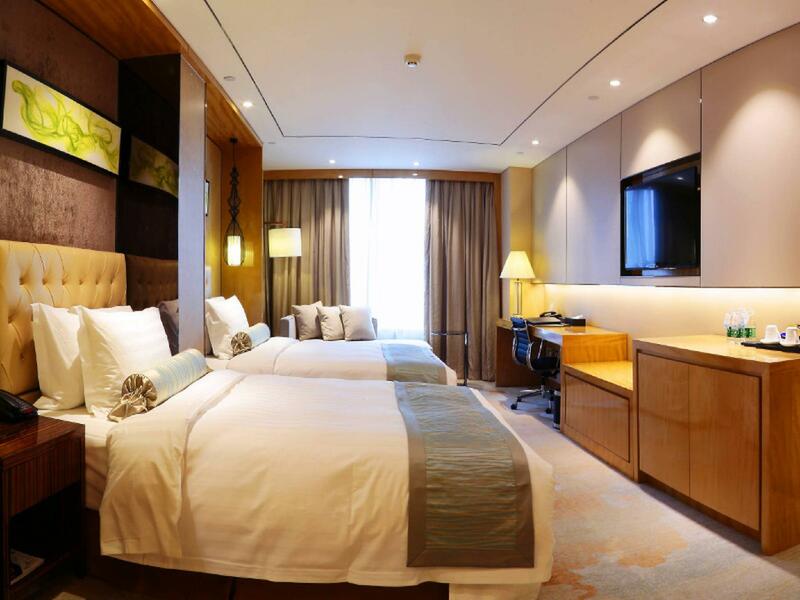 Hotel is located near to shopping with a 15 min walking distance. the breakfast is really good. keep it up guys. the hotel is very new and hence not many taxi driver know about the hotel, everytime we have to get the hotel staff's help to go back to the hotel. the location is near to the subway station but it will be a big dark if you walk back to the hotel at night because that is the small road without lamp post. overall i rate this hotel is the good hotel especially excellent and friendly front desk staff. 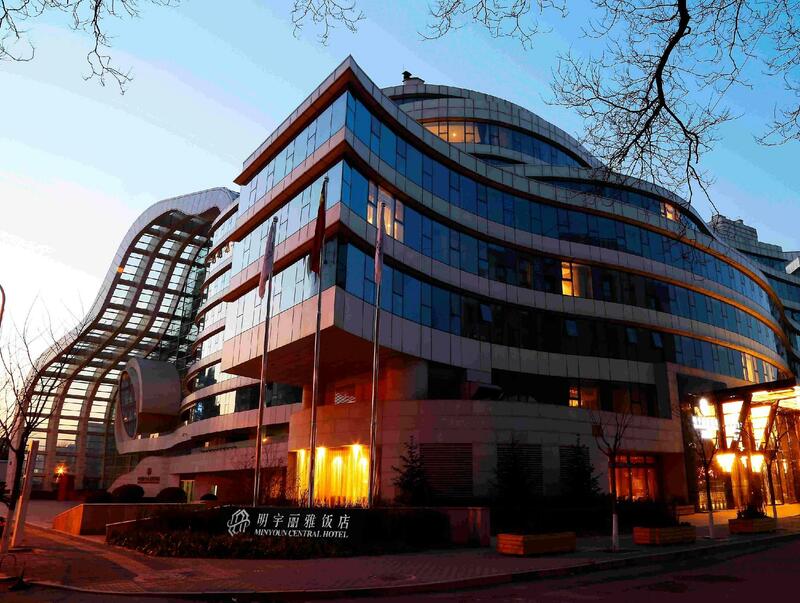 Located behind another major hotel off the main street, this hotel is very quiet, yet still enjoys a central location in Beijing. Very reasonably priced and very comfortable. Clean rooms with friendly staff. Will definitely go back there. Overall satisfy with my stay in hotel. The only improvement needed is the breakfast, have been eating the same things continuously for 5 days. Obviously lack of staff, table are not clean immediately & insufficient. Location great, 2 mins to Dongdan subway. Reception staff very helpful, can converse in English. Downside: Buffet breakfast practically serves the same menu everyday. Water seeps out of the shower room after a bath, making the bathroom floor wet. 2 reasons not to stay here: - You need a Chinese phone to get on the internet - The Western breakfast is poor Rooms are quite comfortable and the location good, although any shops or coffee shops are quite a walk away. Although a bit of a rocky start - we had booked a car from the hotel to pick us up at the airport and it didn't arrive. Language barrier was a bit of a chore but in the end (1.5hrs later) our car arrived. Without asking at all by the time we got to the hotel which was around 9am they had upgraded us to a mini suite for the inconvenience. That would good customer service! Breakfast was excellent. Location perfect. Would stay there again for sure. Good hotel, big room, clean, staff was nice! However, I don't know if Agoda or the hotel's fault for displaying confused address. When I show the address provided on the confirmation email, none of the taxi drivers know this place. We hailed 4 different taxis and they looked at the address and confused - finally I had to make a roaming call to the hotel, gave my phone to the taxi driver so he could get direction to the hotel. Not so happy about this issue. Nice hotel while it located a little at the back alley. Anyway in Beijing most of the time is walking hence not a concern at all. It close enough to the train station to bring you to anywhere in Beijing. Do not expect much restaurant around the hotel, suggest to grab you meal before heading back hotel or take-away food. The room was comfortable , front desk was helpful in getting cab. The location is not near to aby eatery, and worst not many cab know where is it which makes it very diff to get out of hotel. The breakfast is not a 5star standard. 3stars maybe. Or you can forget about having breakfast. I asked for few slides of lemon for my water during breakfast but wanted to charge me for that. The wifi is very weak in room , cant receive emails.